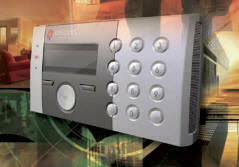 Elink Security offers a variety of Intruder Alarm systems that fully meet today?s Commercial, Retail, Industrial, and Residential security requirements. Our cost effective solutions are always designed around our client?s specific requirements. Undoubtedly, the most important issue is choosing the right intruder alarm system strictly according to the genuine security fundamentals and need of the client. Based on our extensive experience in the design, installation, and timely maintenance of intruder alarm systems our clients enjoy real benefits of our exceptional expertise. Due to the complex and ever growing standards within the intruder alarm industry our Engineers love to advise on selection of security system design which match with the demands of our client?s insurer. All systems are installed to their highest standards. Our ability to provide installation, Monitoring, Servicing and prompt response further adds significant value to our intruder alarm services. We offer 24/7 maintenance service with dedicated customer help through trained engineers against all times calls.